Quaterhit made his debut as a breeding sire in 2017 and offers a promising future as a stallion. He has three paces that are outstanding and his exterior and charisma are top of the line. Quaterhit is out of a very interesting damline. The mother, Poetin III is a full sister to the famous Poetin who won the world championships for five year old horses in 2003 and was also a two-time winner of the German Bundeschampion. 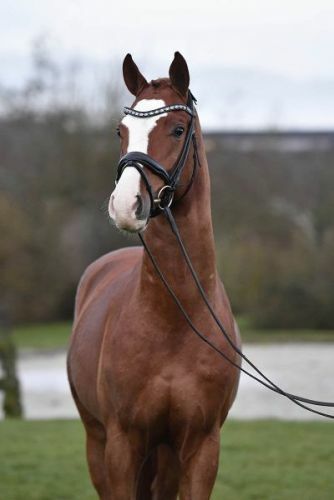 Poetin, one of Sandro Hit's most famous offspring, sold at auction for record price of 2.5 million euros. 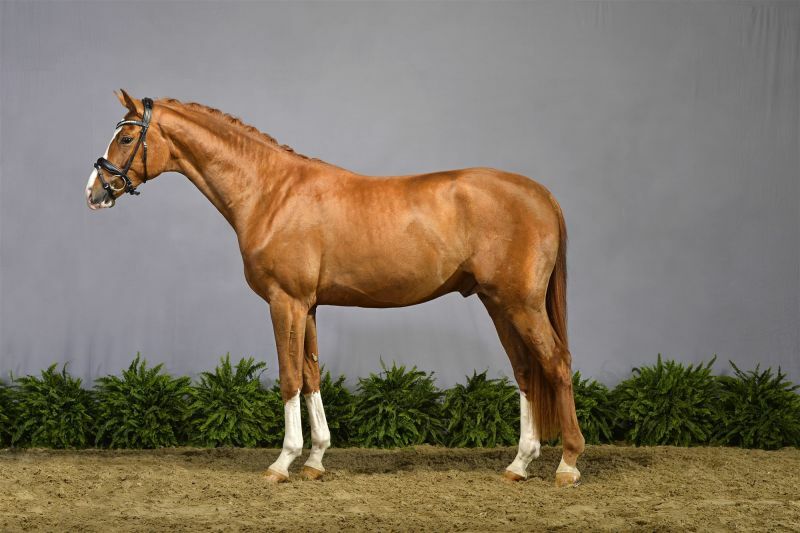 Quatergold is a son of Bundeschampion and performance test champion Quaterback. Quaterback's sire Quaterman competed at the Grand Prix level, while his grand-sire Quando-Quando competed at the Olympics, the World Equestrian Games, and is also the father of the well-known and revered Quantensprung. Damsire Sandro Hit can be regarded as nothing less than a legend. He was Bundeschampion, World Champion of six-year-old dressage horses and trained up to Grand Prix. He has produced many auction highlights with more than 180 licensed stallions and several of those named champion. He also produced more than 50 Grand Prix horses and in 2016 alone he produced 12 bundeschampions. 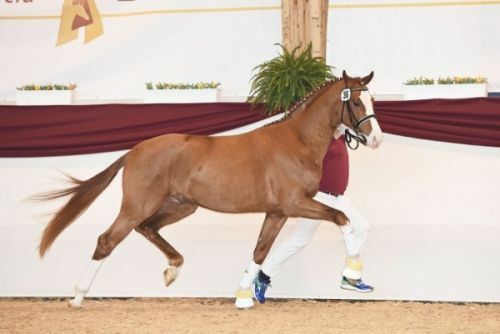 Sandro Hit's progeny shined bright at the 2016 Rio Olympics where Showtime FRH was part of the German gold-medal-winning team in dressage, and Santano II was team bronze medallist with Christopher Burton (Australia) in eventing. 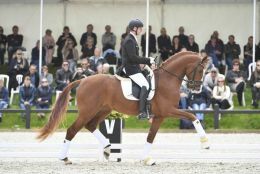 Showtime finished sixth place himself and has since won the Salzburg World Cup qualifier on a score of 85.2%. Santano II also did well by finishing fifth in the final rankings. Santano II has won four times internationally including the CCI3* at Saumur.